Perspex Boat Windows cut to size in Melbourne by Industrial Plastic Solutions. At Industrial Plastic solutions we can help bring your Fishing Boat or Yacht back to looking like new. With summer fast approaching be sure to get in quick and get your new Perspex Boat Windows & be ready for the new fishing season. We supply Perspex Boat windows cut to size in Melbourne in clear Acrylic or Perspex Tints. 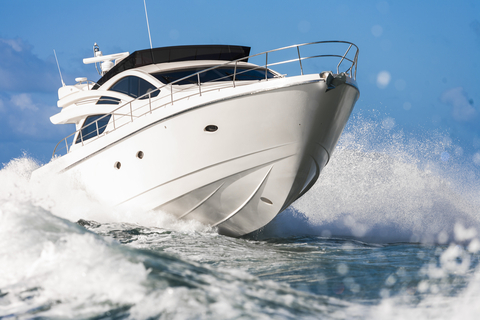 We offer Perspex cut to size to suit your specific boat. Custom replacement boat windows either cut to size while you wait or you can have them Cnc Routed for a more professional look which are usually available in 1-2 days upon receipt of order. Thicker Boat Windows are available upon request. By using our quality Perspex sheet in clear, grey tint or marine green and using our quality cleaners will ensure your new Perspex Boat Windows will look great for years to come. Either bring in a cardboard template or your old boat windows and be sure your Perspex Boat Windows will fit the first time every time. Advantages of using our Perspex Windows is that they are lighter and stronger than glass. When installing new Perspex Boat Windows make sure only to use neutral cure non-acidic silicone. Also be sure if not using our specific Perspex cleaners to use only a very mild soapy water and a cloth. Available upon request we can also make Polycarbonate Boat Windows for that extra toughness when required. These are also available in clear or grey tint. Call now for a free quote on (03) 9798 1153 or drop in for an on the spot quote. Click Here To Use Material Weight Calculator.